Ever since I figured out the secret to making crispy chicken wings in the oven, I’ve had so much fun playing around with different sauces and flavour profiles. I think this might be my favourite one yet. 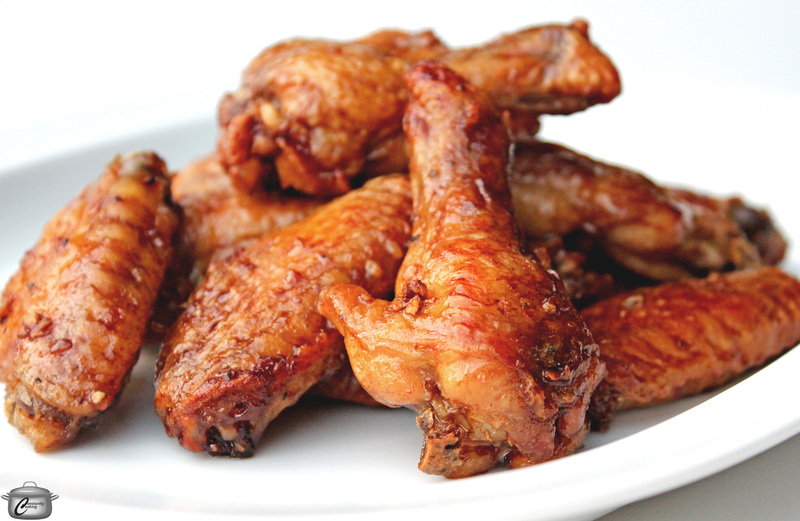 This recipe is scaled for about 15 wings but you could easily multiply it. Place wings in a broad, shallow bowl. Sprinkle with the baking powder and toss with your hands to coat evenly. Lay the wings out in a single layer, 1/2 inch (1.25 cm) apart, on a wire cooling rack placed over a foil-lined baking tray. Let sit for 30 minutes (or refrigerate, uncovered, for up to 24 hours). When ready to begin cooking, preheat oven to 250F. Once oven has heated, place tray in oven and set a timer for 30 minutes. 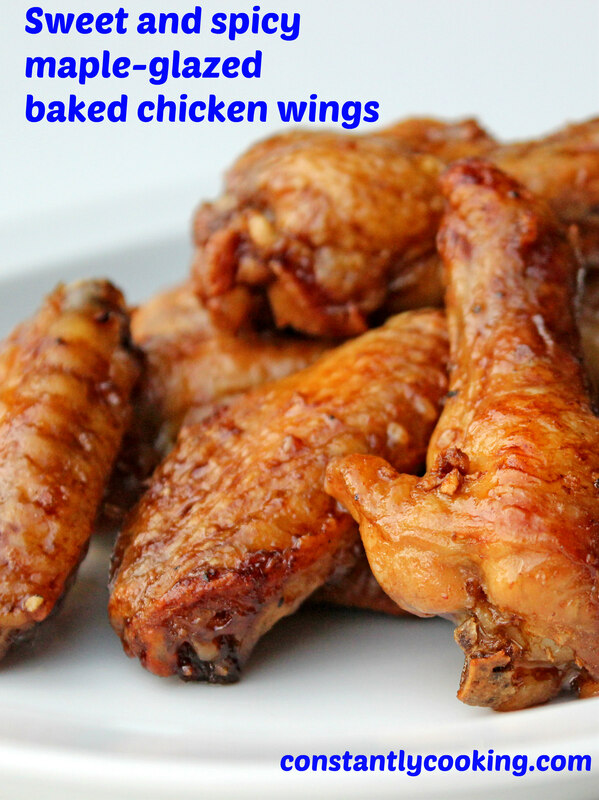 After 30 minutes, turn the oven temperature up to 425F (leave the tray in the oven while the temperature increases) and bake chicken wings for an additional 25 – 30 minutes, until golden brown and crispy. While wings bake, prepare glaze by whisking all the ingredients together in a clean, broad bowl large enough to hold all the wings. When wings are cooked, use tongs or two forks to gently pry them off the wire rack but don’t put them into the bowl until you have loosened them all. Add all the cooked wings at once to the bowl and toss gently until evenly coated, about 1 minute. Spread the wings out on a clean parchment-lined baking sheet. At this point they can be refrigerated for up to 12 hours, or you can finish the cooking per the next step. Just before serving, put the wings back in the oven and bake at 375F for about 10 minutes (longer if they have been refrigerated) until the glaze is bubbling. This entry was posted in Chicken and tagged 5 spice, chicken, chicken wings, Chinese style wings, coconut aminos, crispy chicken wings, gluten-free, maple, maple syrup, oven-baked wings, Paula Roy, soy sauce, sriracha, what to cook with maple syrup. Bookmark the permalink. I LOVE chicken wings tho I haven’t ate them for some time since developing IBS. But this formulation is ridiculously-inventive and looks tasty as heck! Thanks so much! With this recipe being gluten-free and not ‘hot’ spicy, maybe you would be able to enjoy them?